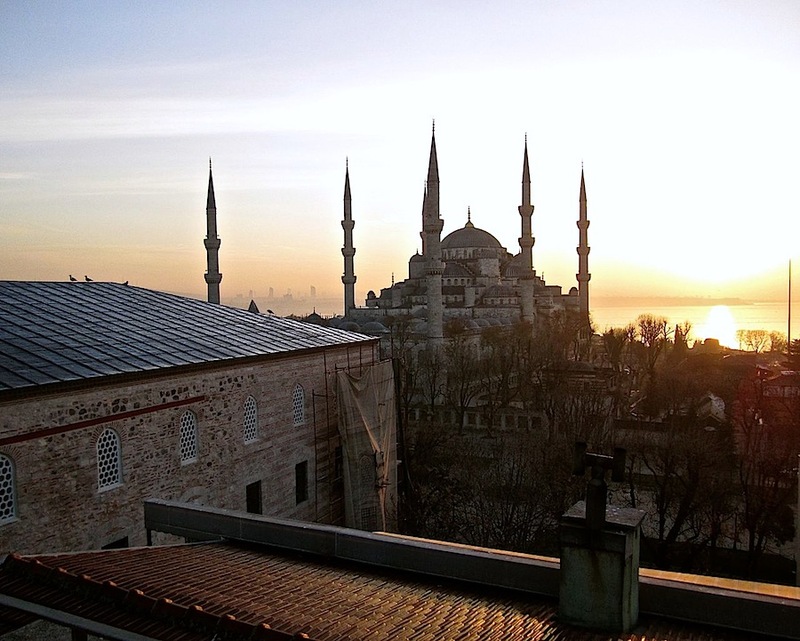 The Blue Mosque, just after sunrise yesterday. We spent the last week in Prague and Instanbul. 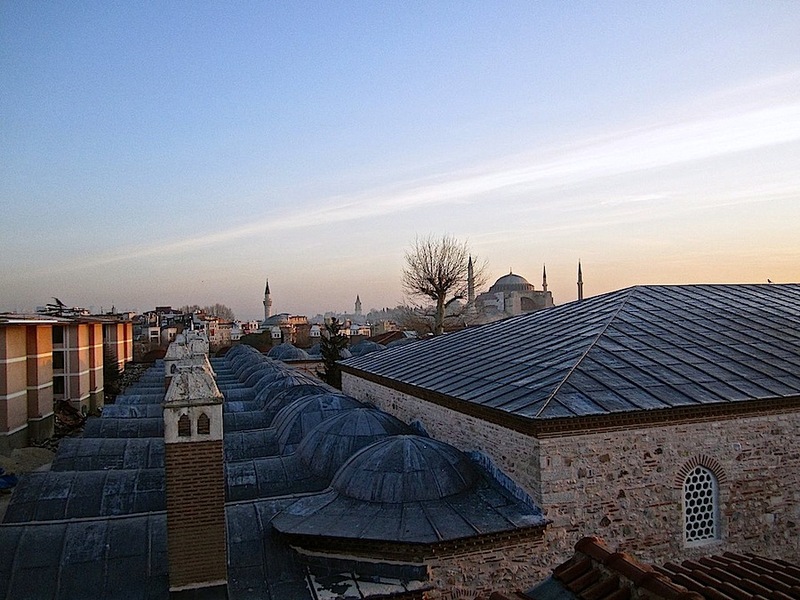 Above is the Hagia Sophia, seen beyond the roof of the Museum of Turkish and Islamic Arts. Another view of the mosque, above. 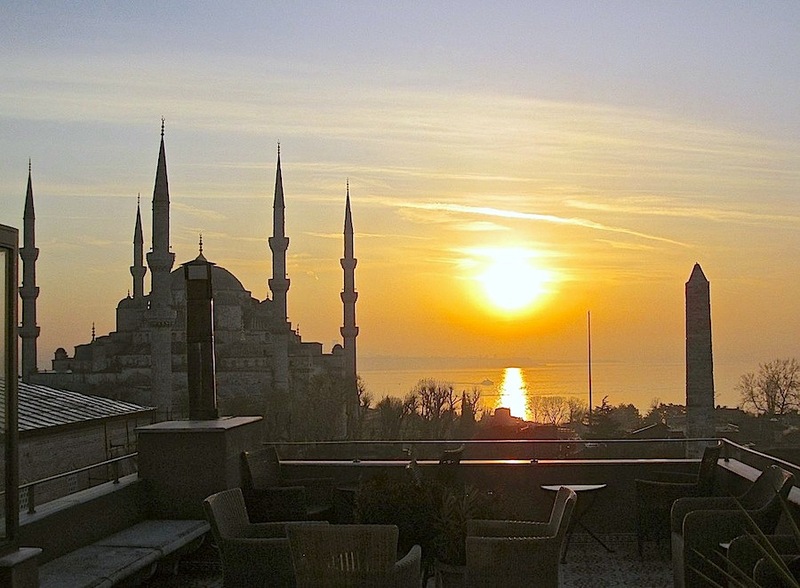 I was on the rooftop terrace of the Hotel Ibrahim Pasha, which is excellent in every way (Thanks to CNN Travel for the tip.). More later. . . . We arrived home about 2:00 a.m. this morning. above us as we sleep.